VALLEY, Virgin Gorda, VI- A number of Virgin Gorda residents are very serious about preventing what they consider the destruction of the environment in the name of development that they are willing to put themselves in harm’s way to protect the clearing of mangroves and filling in of a pond in the Spanish Town area. 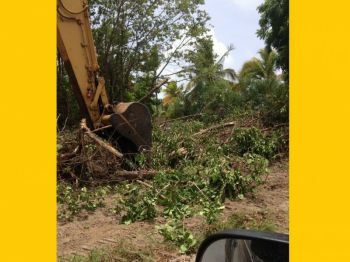 “There is a situation in Virgin Gorda where they are trying to fill in and clear out the last pond in the Spanish Town area. 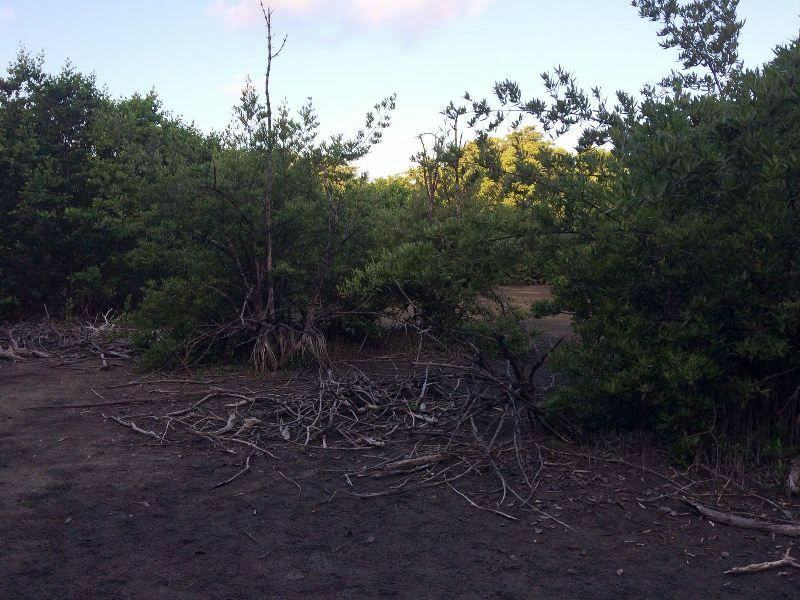 Apparently Conservation and Fisheries Department has given permission without the Ministry’s permission to cut out the mangroves and fill in the pond next to Fisher’s Cove. It’s a piece of land adjacent to Fisher’s Cove, between Fisher’s Cove and Rock Café. They are supposed to do that tomorrow morning (February 6, 2016)," a resident of the sister island told our newsroom minutes ago. According to the resident, attempts were made to do it before. This was a story that this news site had reported on in July 2014. The resident said that a lot of persons were against the destruction of the environment then and still are. The resident claimed that neither the Minister for Natural Resources and Labour Dr The Hon Kedrick D. Pickering nor his Permanent Secretary Mr Ronald F. Smith-Berkeley know about the clearing of the mangroves and filling of the pond. Efforts to reach both Dr Pickering and Mr Smith-Berkley as well as officials from Conservation and Fisheries Department for a response proved futile. “A couple of us are planning to go in the morning and stand in front of the backhoe, because even though the land is a private property the Minister neither the Permanent Secretary knows nothing about it. And there have been other issues where we have approached Conservation and Fisheries and they told us we can’t do anything unless we get the Minister or we have to go through the PS to get to the Minister. So why have they not spoken with the Minister or the PS on this issue? Maybe it’s because who is doing the development? Are they that powerful?” the resident asked. The resident argued that a lot of people have made mistakes in the past as it relates to the destruction of the environment in the name of development because they did not know better. “But now that we know and the technology is there and the information is there do we destroy the last bit? There are birds that migrate to that pond every year. So it is much more than persons just saying we want to save the last pond. It is a lot more than that. “The challenge we are also facing is that road when you take away what is left of the natural drainage, the road has already been compromised. When it rains the whole road is flooded and nothing is being done so once they take away the mangroves we are going to have a situation. We don’t know when anything will be done to repair that road. Right now persons are running sewage into the drain right along that whole roadside. 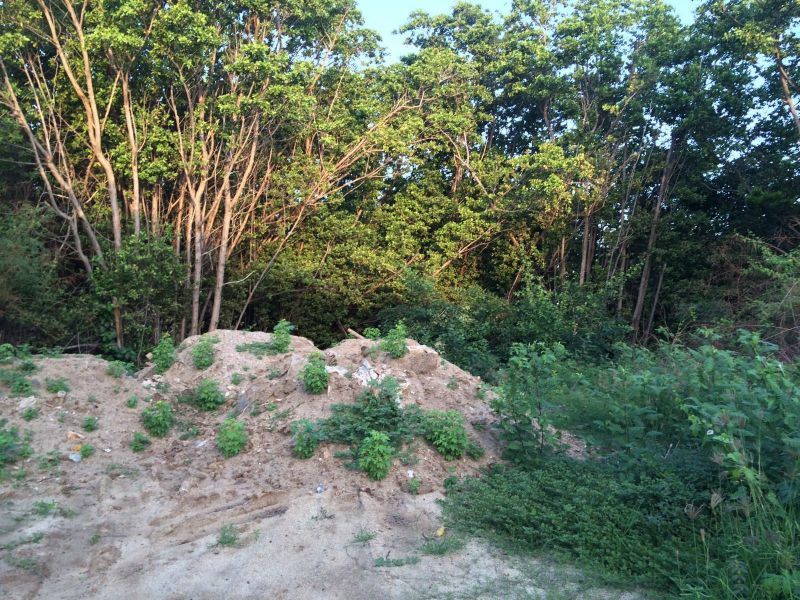 It is something that needs to be addressed and while I think nobody is against development, it needs to be done in the right way and with the protection of the environment as a priority,” the resident stated. Virgin Islands News Online will keep you updated on this story. I am proud of those who willing to stand up to those who would destroy our environment and for what is right. It's about time! If I had known about this ahead of time, I would have joined you. Unfortunately, I must work today. It's too late to find a replacement. Know that more of us are there with you in spirit! Do you know what a mangrove is VG Man? And what it does for our Eco system? 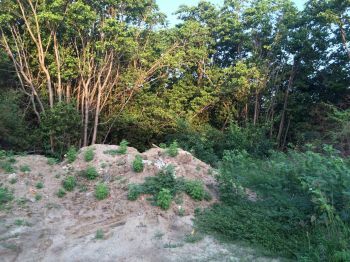 Good Morning All, if you read what i said ,i was referring to the bush clearing in the picture ,can't you all understand English? Call Bertie our doctor Smith who you all elect and now you all crying like babies..Our call Sir Richard,i don't no why you all attacking me i fishing i know better..So read what i said clearly earlier.. In some areas of the world they would call it a swamp, that is a perfect standing water breeding ground for Mosquitoes. Instead of stopping them, get a shovel and help fill it in, but don't forget your Mosquito repellent! Swamp it is not a breeding ground for mosquitos. There are preventative measures that are utilized by the Environmental Health Department that are eco friendly. The guys do a good job at this. There is absolutely no need to fill the pond. It is living pond. We should not kill it. Let's preserve our environment!!! what about lizards, fish, insects that eat mosquitoes? the more we ruin the environment the more out of balance it is. We are creating most of the problems by stripping the environment. mangroves and salt ponds are vital for protecting against hurricanes and filtering water to keep the ocean and coasts clean. My question is how come people don't know who is doing the filling? What is going there? who is paying and why doesn't the CFD have more teeth? What affects one affects all. SHAME! Pickering talks about saving the environment and global warming. Here is a case where he could put his money where his mouth is. walk the walk. the BVI is losing its identity and natural balance all for the almighty dollar. Everyone knows who is doing the filling. The same ones who are always doing this kind of thing for them greedy selves. You obviously don't know VG. Surprised you can't stay in Tortola and know who is doing it. good for ayo because funny man went up dey and fool ayo and ayo voted for he where is he now? mek up bed sleep in it! cause competition to the greedy money haunted Flax them? Who get um, tek um who e hut e hut. I,Dulcina is against the filling in of ponds,destroying mangroves etc but perhaps,the Gov should seek to own the remaining ponds and fragile ecosystems where possible. 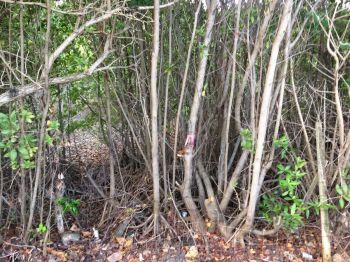 Passing laws prohibiting the destruction of mangroves and ponds should be a step towards the preservation of ecosystems..
No point in passing any laws around here. People do pretty much what they want with impunity. BVIs are an accountability free zone, didn't you know?